You might remember Meow-Ludo Disco Gamma Meow-Meow from his interview with Sydney Criminal Lawyers® earlier this year. In that interview, Meow talked about biohacking, a DIY movement aimed at democratising science. Biofoundry, the community lab Meow’s’s opened in Redfern, is designed to do just that. Well, Meow’s been back in the news, and it’s not for biohacked glow-in-the-dark mushrooms. 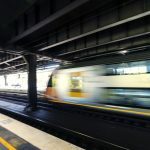 Last month, Meow became the first person to travel on public transport using an Opal data chip implanted under his skin – making him the first cyborg patron of Sydney’s rail network. While that may have been the end of the story, something happened two days later that would change everything. 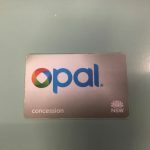 Transport for NSW deactivated his Opal card – opening the way for the first test of cyborg rights in Australia. “ABC orchestrated a lot of that. I basically gave them the scoop, and afterwards they contacted Transport NSW,” Meow told us. Thankfully for Meow, the deactivated card was the one in his wallet – which was registered to his name – and not the underneath the skin of his hand. But the actions and remarks of the government department, and the prospect of Meow’s implant card being deactivated if he is detected by transit police, raises questions about bodily autonomy and the growing clash between traditional laws and new technologies. As tech implants become more common, so do the number of ‘cyborgs’, ‘bionics’, or ‘enhanced people’ who’ve run into problems with outdated laws. In 2012, Steve Mann, a technology professor who replaced his eye with a camera, became the first reported victim of a cyborg hate crime, when employees at a French McDonald’s fast food store assaulted him after he refused to remove the implant. In a case earlier this year, Rich Lee, another technologist lost custody of his children after his ex-wife claimed that his implants – which include ear magnets that work as earphones – are evidence that he is an unfit parent. And just last week, an American court ruled that a defendant’s pacemaker data could be used as evidence against him in court – raising concerns about the government’s ability to access information derived from implanted technologies. “This is kind of like the early days of the internet when there was this battle between governments and hackers on security. 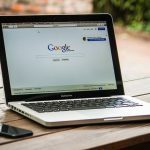 Governments kind of won, and the commercialisation of the internet has changed the way that we use it to the point where the web isn’t really owned by the people the way the hackers wanted it to be.” Meow stated. Although Meow’s case might seem trivial compared to those mentioned, he sees it as a way to test and advance domestic laws on the issue – and to allow advocates of cyborg rights to drive the conversation, rather than wait for those in power to react. 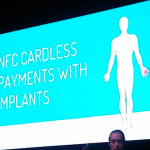 “My first implant really changed my perspective on what this technology is, and what we can do with it in the future. 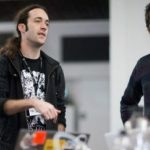 As a founder of the biohacking movement in Australia, I realised that it’s my responsibility to engage with that as heavily as I can,” Meow told us. Meow is adamant he would mount a court challenge against Transport for NSW if the organisation were to deactivate his implant. This is certainly not the first time the Opal card scheme has sparked controversy. 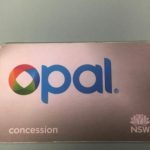 Shortly after the cards were introduced, concerns that Transport for NSW was tracking card use were realised when the organisation admitted to providing a range government agencies warrantless access to Opal card data.